We’ve entered Spring. With Summer just around the corner, many people are already looking forward to the typical Phoenix heat – we say “looking forward to” with very little anticipation – but currently enjoy the extended forecast for some much-needed rain, moderately cool days, and even some window opening worthy days. However, if you’re like us, then you see this temporary respite as a sign of a harsh summer to come. Long-range extended forecasts are difficult to trust, but any long-term Phoenix-area resident will tell you that a moist Spring will bring a slightly humid, much hotter Summer. If you lived through the last Phoenix summers, you’d imagine that the hottest months couldn’t possibly get much hotter, but that may be exactly what we’re looking at. First and foremost, we can’t claim any scientific background for our haphazard meteorological skills; still, as Phoenix’s foremost air conditioning repair technicians, we feel like we have some authority in predicting the number of urgent calls we receive on scorching summer days. Considering that, as of now, we’ve served nearly 1.5 million local residents with AC repair or commercial HVAC services, our intuition is backed by that much experience and plenty of homeowners that share the sentiment. One thing we do know is this: Phoenix is already one of the hottest cities in the country, so adding humidity to that mixture is not something any of us look forward to. If the Spring months are expected to be wetter than usual, then you can guess that the summer will be slightly more humid than usual as well; this slight difference can have a huge difference in the way the heat feels and how easily it permeates indoors. If we do get a slightly more humid summer in 2017, you will be even more grateful than usual that you have a working air conditioner at home and work. While we don’t want to sit here and tell you that you should keep your air conditioning on year round, most problems show themselves when your unit is either working its hardest (in the middle of summer, typically) or around the time that it is called upon after a hiatus. While there is no real rhyme or reason for this that we can point to directly, we always expect to get calls during the first real heatwave and in the midst of the hottest Phoenix months. These “bottleneck” points make us busy during these times of high call volumes, which we certainly enjoy, but tell us that local homeowners could easily find and fix these problems much sooner with regular maintenance and AC repair. If you’re anxious about the summer heat and how it will have an impact on your air conditioning, then you should take the time to set up an appointment with our friendly maintenance staff to check up on the status of your home’s air conditioner. Often, no repairs are necessary to keep AC running smoothly for years and years, but that is best achieved when regular maintenance is performed on your homes heating and cooling systems. 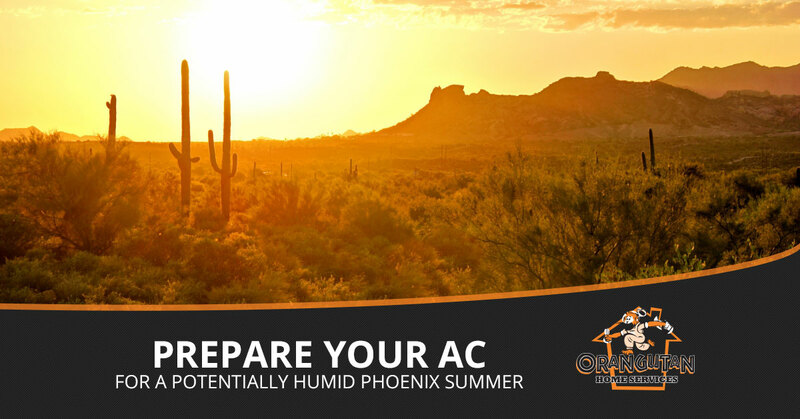 By giving your home’s AC the attention it needs through maintenance, you can go into the summer confident that your air conditioner won’t fail you or force you to become another of the busy season callers that are desperate for an emergency AC repair. While nobody can predict the future, a little maintenance goes a long way in the world of heating and cooling.